To permanent treat up deviated septum, septoplasty has proved as an ideal solution as of now, therefore, people suffering from nasal issues, are mostly suggest to have septoplasty to get rid of problems associated with such disorders. Though, it gives favorable results certainly, yet it gives some unfavorable consequences which are also undeniable. Sometimes, septoplasty causes problem while exercise as well. 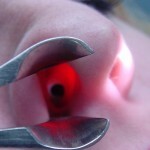 As Septoplasty involves turbinate reduction that helps achieving effective nasal airway opening and in this, very delicate incision are used, for that patients are required to not to do exercise for some days. In case, you start doing exercise after your surgery for septoplasty, then there are chances you face some problems like breathing problems, nosebleeds, re-injury, and inflammation and delayed healing. To avoid these issues, one is advised to not to perform physical exercises at least for a week or two. It is often seen that aerobics exercise elicits consistent breathing issue. It is because, after surgery, the nose gets partially blocked for 15 days and that does not let a person exercise properly. Doing strenuous exercise may sometime cause severe nosebleed if it is performed immediately after septoplasty. These exercises include weight lifting, running and so on. The exercises increases blood pressure and the septoplasty bring some physiologic changes that increase the nosebleed risk in patients. Sometimes, this nosebleed may turn into highly dangerous condition for which you have to visit to a hospital. In addition to it, nosebleed often cause highly inflammation and swelling over surgical area. 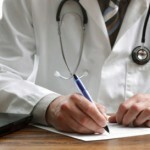 It may extend healing time as well and the condition can get worsen. 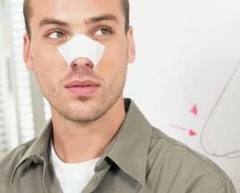 Exercise After Septoplasty – Take Precautions !! 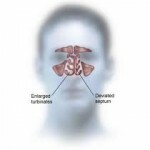 Septoplasty which people use who suffer from deviated septum and it works effectively if one follow some prescriptions and avoid some activities for at least 15 days after septoplasty. It should be taken care in proper way and do not stress on you at all. Maybe you feel quite discomfort on your face and it can make you feel crazy due to swelling, inflammation and bruised. However you will be given some medicines to reduce the discomfort, but avoiding exercise is similarly important. It can make your condition more irritating and at the same time, you should follow instructions that your doctor provides to get relief quickly. Sometimes, the surgeon suggests some exercises to perform while lying on bed or sitting anywhere after septoplasty. These exercises do not cause any issue and problems to patients. Doing these exercises, the healing process will increase in a faster way. The surgeon will advise you the right way to do this exercise. If you use to do weight lifting or difficult physical exercises, then certainly it should be refrained for minimum a week. The best exercises that you should do after septoplasty are climbing stairs slowly, bending exercises and so on.